If you’re thinking about adopting a CRM for your business, we reckon that’s a pretty smart idea. A CRM system is a flexible piece of software underpinning customer relationship management practices. With the right CRM system in place, your salespeople can more easily plan calls, collate and access client information on the go, and generate sophisticated reports. Data from InsideCRM shows that ease of use is the most desirable CRM benefit. That alone should be enough of an incentive to opt for a simple CRM system. After all, appealing to the desires of the people who will use the system every day should be paramount. “What about functionality?” you might ask. Well, 72 per cent of experienced senior executives would trade CRM functionality for ease of use, according to a survey reported by Niall Byrne. On that note, it’s vital you’re meeting the needs of your salespeople – every dollar spent by your business must count for something. Choosing a sales CRM that is difficult to use is a fast way to lose money, as your staff may quickly reject the software or find that trying to use it only slows them down. Without sufficient uptake, it’s impossible for your business to see significant ROI from a CRM. A user-friendly CRM lets your best salespeople focus on growing your business. Let’s think about what a sales CRM is really for. Yes, it can help you store customer information, keep communication records up-to-date and plan calls – but the whole purpose underpinning these functions is simplified processes. Without the streamlined workflow that the right sales CRM can offer, records can become lost, miscommunication becomes a real threat and maximising face-time with your customers takes that much longer to plan for. For your CRM to be effective, it has to succeed at making menial administration tasks quick and easy. This means it must be user-friendly, not a confusing distraction to your best salespeople. Similarly, onboarding processes are difficult enough as is. You spend countless hours and dollars trying to find the best salespeople for your business and you need them to be productive as soon as possible. 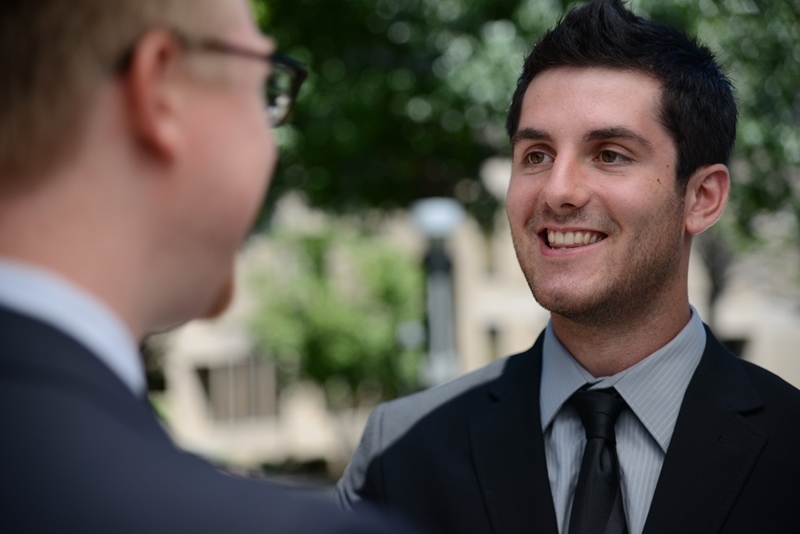 Effective onboarding is critical to reducing the time-to-productivity of new recruits, according to the Society for Human Resource Management. A CRM system alone cannot (and should not) play the role of an effective onboarding process, however the relative user-friendliness of your staff’s tools should be considered here. When a CRM system features intuitive design and a comfortable user experience, your newest team member can pick up the workflow more easily than otherwise. It’s rare for salespeople to spend more than a day at their desks. Your team is out and about, making the most of valuable face-time with your customers. This means they need access to your CRM system no matter where they are. A user-friendly CRM should be accessible on any device, in any location. 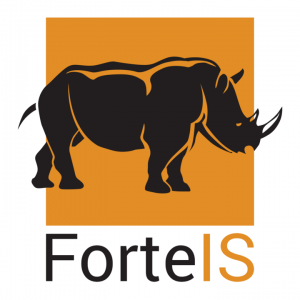 For example, Rhino by ForteIS is available as a CRM with online and offline functionality. The system can be accessed on any device with an internet connection for live updates and seamless data integration while on-the-go. The local version requires an Android tablet that stores information locally and can be accessed without a live connection. It’s not uncommon for salespeople to slip out of internet service areas, particularly if you’re visiting customers in rural areas or using a device that isn’t enabled for mobile data. So, an offline version with local storage is also available that can communicate with the online system when connected to the internet and ensure your sales team have what they need, when they need it, making it all the more easy to use. With a user-friendly mobile CRM, your sales team can access the information they need, when they need it. The conversations your sales team have are so crucial to the wellbeing of your business. It’s absolutely vital that they are able to give your customers the face-time and attention they deserve, to make them feel valued, respected and comfortable in the partnership. CRM technology should support your team in making these conversations count, without becoming a transactional database or determining the language they use. No customer wants to be called a lead, prospect or contact, and many complex CRMs can cause your salespeople to start thinking of customers in this way. In turn, that can begin to seep out into communication and remove the human aspect that makes effective salespeople so compelling. Your chosen CRM system should be simple and stripped back in order to support your salespeople without being overbearing and dictating the tone of their customer relationships. Lastly, you need real insights that only effective reporting can bring. However, creating reports is another activity that may not directly help your team make sales. So it’s better if your salespeople aren’t spending too much time building activity reports at the end of the week. The right CRM for your business should eliminate the need for manual reporting, and ensure that generating automated reports doesn’t become a confusing or overwhelming task. 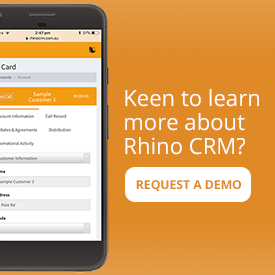 A sales CRM such as Rhino can produce effective activity and exception reports with minimal effort, based on the data entered throughout the week. 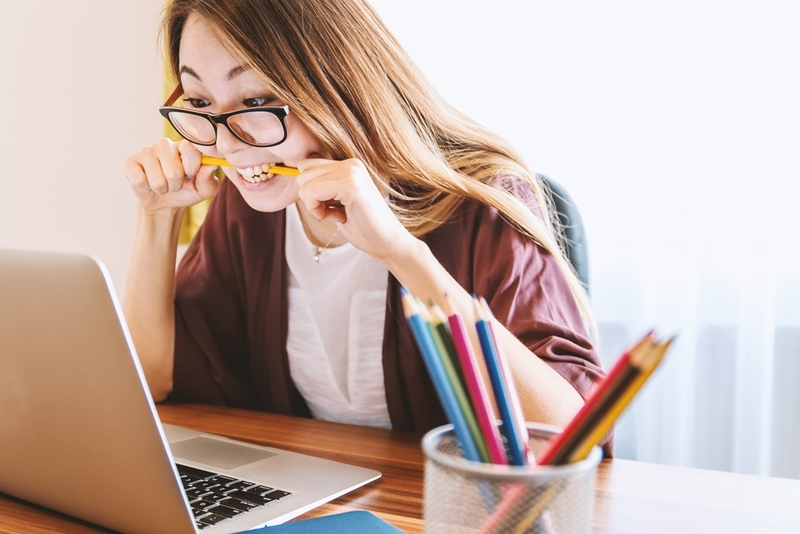 A CRM system has the power to see your sales team perform like never before, but the wrong one can be a serious detractor. 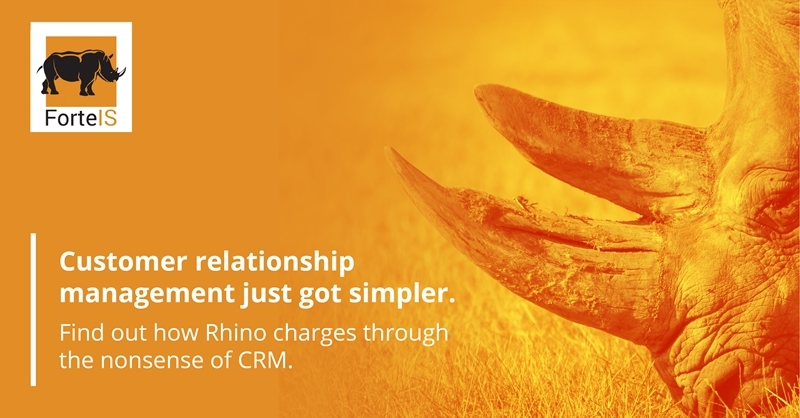 Talk to ForteIS about Rhino today, a simple CRM that enables greatness.